It may say something about the ascendancy of fracking -- and the endurance of natural gas -- that most of the energy-related commitments at Thursday's Global Climate Action Summit have been about coal. At the conference on Thursday, Minnesota, Connecticut, Hawaii and New York announced they have joined the Powering Past Coal Alliance, a coalition of countries, states and cities that are taking voluntary steps to power down coal-fired power plants and to stop importing energy powered by such plants. The Alliance also includes places like Wales, the Australian Capital Territory and the Balearic Islands in Spain. No Chinese cities are Alliance members; the country is still building coal-fired power plants in earnest, though Xie Zhenhua, Special Representative on Climate Change Affairs, made a speech on Thursday reiterating the country's commitment to seeing its CO2 emissions peak by 2030 (in line with the Paris Agreement). The Climate Action Tracker says that won't be nearly fast or aggressive enough to limit global warming under 2°C and avert catastrophe. Places like Hawaii, which have only one unpopular coal plant, are low-hanging fruit for commitments like these. If Wyoming, Kentucky or West Virginia were to join, that would really move the needle. 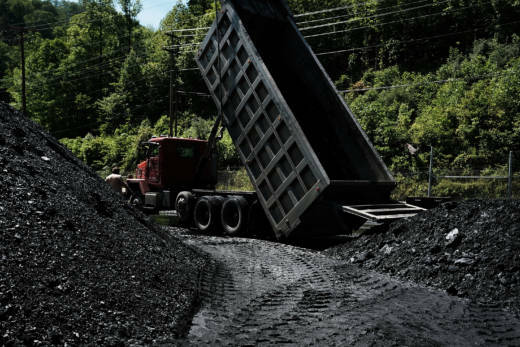 AFL-CIO President Richard Trumka helped the audience peer into a future where former coal workers could find solidarity with environmental advocates — if it were handled right. It's not enough to call for an end to coal without thinking strategically about what comes after that. In other words, telling coal workers to go learn to code, or something else equally pie-in-the-sky, is an insult. "I understand that many are frustrated with the pace of action on climate change," says Trumka, who is a third-generation coal worker. "But simply demanding that plants be shut down with no plan for the people who are put out of work, no call for shared sacrifice, and no dialogue or solidarity with those whose lives are dependent on carbon-based fuel — that poisons the political will." The AFL-CIO, which represents the United Mine Workers, passed a strongly-worded resolution urging Congress to "enact comprehensive energy and climate legislation that creates good jobs and addresses the threat of climate change."